Tucked away behind Birmingham’s busy streets, the beautiful Moseley Park is one of the city's hidden gems, transformed each year into an enchanting escape by one of the Midlands' best-loved music festivals. Traditional folk & low-fi acoustic sets blend seamlessly with dreamy electropop, psychedelia and indie favourites against a magical backdrop of bright hippie colours, lush foliage and a beautiful lake. The perfect way to see out the summer. 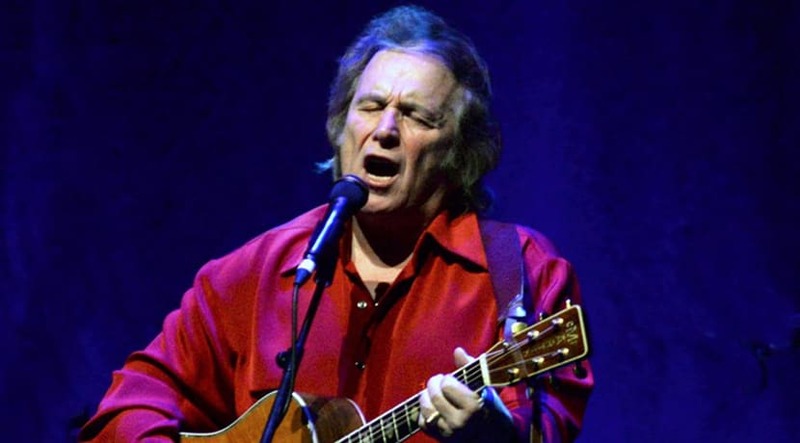 Music line-up includes: headliners Don McLean, Jake Bugg, Public Service Broadcasting and the Zutons alongside Folk heavyweights such as Richard Thompson, Lucy Rose, Peggy Seeger, Edwyn Collins and many more. Teenage Fanclub need to re-learn a lot of songs. A lot! The Glaswegian combo are about to headline Moseley Folk Festival (31 Aug-2 Sep 2018), but once that’s over, they have to get on top of a decade’s worth of old material for a run of UK shows that will see them playing only songs from their ‘Creation Years’. "The reason that it’s happening is that basically Sony approached us a year ago with the idea of re-issuing the five albums that we made with Creation Records, which have subsequently gone out-of-print," explains band cofounder Norman Blake. Remastered at Abbey Road studios and accompanied by seven inch vinyl singles of choice additional material, the Creation albums came out in July 2018, prompting the band to ponder how they could best promote them. "We came up with this idea of playing all of the albums over the course of three nights, in chronological order,” Norman says. “That’s five albums - so the first night will be Bandwagonesque and Thirteen, from 1991 and 1993; the second Grand Prix and Songs From Northern Britain, from 1995 and ’97; and the third night would be the Howdy! album and some B-sides and other things from that period." "And then you look at it, and realise that you’ll be playing in the regional of 80 songs over three nights!" shudders Norman with a nervous laugh. "We’ll have to relearn a lot of them and, in fact, some of the songs we’ll be playing, we’ve never played live! So there’s quite a bit of work involved." Formed in Glasgow in the late 1980s, Teenage Fanclub combined the lurch of a ragged Neil Young and such 'grunge' acts as Dinosaur Jr with the power pop jangle and hooks of Big Star, The Beach Boys and The Byrds. Their third album, Bandwagonesque, arrived in 1991 alongside label mates Primal Scream's pioneering Screamadelica and My Bloody Valentine's iconic Loveless, establishing both the Fanclub and the label's reputations. "They were great – a great label," Norman recalls of Creation. "It was a label that allowed you to do what you wanted, they were very artist friendly. They were not the kind of label who would say ‘we don’t hear a single on this’ – they’d pay for the recording but they’d say the band was always right. We had a really good relationship with them." Other Creation artists included Super Furry Animals, Jesus and Mary Chain, Coventry's Adorable, and West Mids's acts Kevin Rowland, Lilac Time and Felt (whose Creation catalogue has also been re-issued), though it was Oasis who really hit the big time. Yet despite the acclaim and success, and a relationship with major label Sony, the label was forced to close in 2000. The band had a two albums left on their deal. McGee told them to finish Howdy! and take it to Sony. "So we did that. We finished the album, and the announcement that Creation was folding did happen, and Sony’s Blair McDonald, who was running the label, picked it up. But it was a transition period at the time … so I think that album slipped a bit under the radar. "After we’d finished with that album we had a meeting with Blair and he said we could do a compilation next [2003's Four Thousand Seven Hundred And Sixty-Six Seconds], to save on recording costs, and we agreed to that, and that concluded ‘the Creation years’ as we were done ..."
But it was only their relationship with Creation/ Sony that was done as the band have continued, releasing four albums since, the most recent being 2016’s acclaimed Here. Now there's plans to ensure the entire Teenage Fanclub is back in circulation, with recent and earlier albums being reissued, and talk of expanded editions featuring a myriad of B-sides, session tracks and rarities. But at the moment, their focus is very much on those Creation Years. "I remember in the very early days, people looked down on Creation – but even back then they were putting out great records like The Loft’s Why Does It Rain? (1984), The Weather Prophets. For a while the label probably struggled a bit financially but they were prepared to re-mortgage their homes to make these records. I can’t imagine many other people don’t that – Universal aren’t going to that." Teenage Fanclub headline Moseley Folk Festival on Sunday 2 September 2018. Other acts appearing include The Levellers and Show Of Hands (31 Aug); Nick Mulvey and This Is The Kit (1 Sep); and Steve Harley and Cockney Rebel, and King Creosote (2 Sep). Teenage Fanclub return to O2 Institute Birmingham from 9-11 November 2018 for The Creation Years concerts. Based on the 1980 phenomenal pop culture film.